This is the principle of tithing: You give the first 10 percent of your income back to God. Yep, we all know that Israel never gave the tithe first. The first fruit offering was given prior to the tithe harvest. First fruits and tithing were not synonymous. First fruits were blemish free and the best of the crop. God specifically says that they were not to choose their tithe based on how bad or good it was. They were to set the 10th aside. That’s right, they were not even to set the 1st aside. Just the 10th. Did he really just say that giving to your brother who is out of work does not worship God? Does Mark 9:41 come to mind to anyone? What bible is he reading out of? One that fits his own theology, that’s what. Israel didn’t give a 10th of what they earn. They gave a tenth of the increase that GOD gave them. I can’t emphasize that it was what “GOD” gave them. it wasn’t what they earned. Please read my post that explains why Israel only gave food. 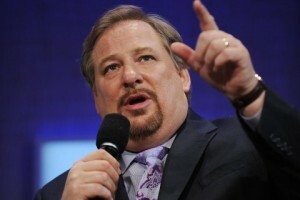 Rick Warren just wants to you to forget that Israel only gave a tenth of food and animals. Carpenters, bankers, doctors, lawyers, tax collectors didn’t give a single coin for a tithe. They kept ALL that they earned and were not allowed to give it as a tithe at all. This interpretation is blatantly adding to the scripture to fit his own beliefs. When are you supposed to tithe? You do it on the day you worship. The Bible says in 1 Corinthians 16:2, “On every Lord’s Day each of you should put aside something from what you have earned during the week, and use it for this offering. Not only are we requiring you to give a minimum. Not only are we requiring that it has to go to a 501(c)(3). But now you are required to give it on the first day of the week. Of course this is the day of worship, since you don’t worship God on the other 6 days of the week. If you give 9% – Bad. If you give it to the needy –Bad. If you give it on a Monday – Bad. I’m not the type to just go out and say an individual is blasphemous and is in danger of adding to God’s word, but Rick Warren did just that. I’m not against the various biblical translations, but let’s be real, but the New Century Version (NCV) doesn’t even come close to representing any original text. I get it. All the translations have errors, but it just blows my mind when these so-called followers of Christ scour these loosely written interpretations for quotes that fit best with their message. Since he can’t even get the easy facts straight in this case, he should disqualify him for getting in front of a pulpit to speak about tithing E V E R. It doesn’t take much research, nor does it take a Ph. D., nor are these simple facts even controversial; and yet, he abuses and rapes bible passages to make his point. Andrea, tithing is for all regardless of races and status in life. it is not a burdensome for people who have faith in God. this is a test command and it takes faith to fulfill his command. now if you are grumbling and making excuses not to tithe then this law is not for you. it is intended for people who wish to follow God. always remember that this law is to honor God’s kingdom. what if God happened to resurrect you and the rest of you who were not trained to tithe into his kingdom, how would you act on it when the time came for God to collect his tithe for his kingdom? [ “But when the king came in to see the guests, he noticed Andrea there who was not wearing wedding clothes. He asked, ‘How did you get in here without wedding clothes, friend?’ Andrea was speechless. Although I had closed my discussions on the tithe with John, I feel that I should correct his understanding of Matthew 22:21. Many of those who rush to that verse miss many points and clues that separate the two dimensions the Lord was talking about in Matthew 22:15-21. When answering the question of paying tax, the Lord drew the questioner’s attention to the image and inscription. If you miss these two things, you will never see the Lord’s answer in it’s context. The Lord’s answer was centred on the image and inscription on the money. Although it was obvious, the Lord asked them, “Whose is this image and inscriptions? They confirmed that both were Caesar’s. Then He told them to give to Caesar back the image of his authority and control. This marks the political answer. The second part of the answer is very interesting because many Christians have never seen the relevance of the Lord’s use of the image and inscription as relating to God. The Lord was in the second part of the answer addressing the questioners about the image and inscription that any human being bears. The coin bore Caesar’s image and inscription and must be given back to Caesar, but every man dead or alive was made in God’s image. Both the image and inscription are found in Genesis 1:26-27 which says: “And God said, Let us make man in our image, after our likeness…….So God created man in His own image, in the image of God created He them, male and female created He them.” Man bears the image of God. The questioners were not like you John and me. They were very well versed with the scriptures, and understood the answer straightaway. They knew He was telling them to give their hearts to God, in stead of wanting to tempt Him. That is their reason for marvelling as they left. Otherwise, there was nothing to marvel about in the first part of the answer. They knew He was pointing them to Genesis. It is a pity that pastors and reverends and bishops of today want to claim this as a tithe, or offering of any kind. No, think again and go to the scriptures. Caesar’s image is beneficial to Caesar but, “For God loved the world that whosoever believes in Him should not perish, but have eternal life” (John 3:16). God wants to redeem man and reclaim His image. He is not interested in the inferior images of men of whatever shape or form. After all, He sent His disciples out without any man’s created image (money) in their pockets and they did not lack. Why should today’s images (money) be important to Him? Both the disciples in Matthew 10:5-15 and the apostles in Matthew 28:18-20, whom He sent out, left with nothing of human images (money) and yet they did not lack. John, this is the time the tithe was going to be fully employed as the twelve disciples were going out as strangers and thus qualified to benefit from the tithe, which was still in practice at the time.. In stead, they went out fully depending on the Lord to provide people with hospitable hearts to accommodate them and meet there needs. The problem with John is that He cannot accept the fact that the tithe is dead and has been replaced with liberal and cheerful giving that comprises, among other things, hospitality, feeding the hungry, visiting the sick and the prisoners (Matthew 25:31-41) in short, CHARITY (1Cor. 13; 14:1; James 1:25,27;2:8). This was emphasised by the Lord in Luke 11:41-42. In these verses the Lord instructed or commanded ” Rather, give alms of such things (not tithes) as ye have;….” In the next verse, after approving and upholding CHARITY (alms), the Lord castigated the tithers for ignoring the love of God and justice. Therefore you will find the theme of love sounding right through the apostles’ letters and teaching. Moreover, In Luke 11:42,the Lord made it very clear that it is possible to tithe without love loving God, or without having the kind of love God expects. These are evidently displayed through the abhorrent attitude of the tithers towards non tithers, who may include the widows, fatherless and the needy. Like always, tithers ignore, not only this scripture, but also the Lord’s command to do all thing in or with charity (love) (1Cor., 14:1; 16:14; 1 Peter 4:8). If you wonder why the tithe does not feature in the apostles’ teaching, the answer is CHARITY, which is very difficult to carry out if one has no love for others, and especially if they do not have the Holy Spirit in them (Romans 6:5-6). As long as we ignore the poor and needy, the widows and fatherless, our tithe amounts to NOTHING (Luke 11:41-42). Leo, there are so many verses in the bible that require your attention more than anything else. I’d done my part in sharing this with you. my last post to Andrea about the fate of gentiles in Paul’s time is a striking revelation. feel free to read them all and find out the truth about it. my position remained the same that the tithing law still stands! You can’t help the personal insults John because your arguments are based on twisting scripture and/or are weak. This will be my last post. Thanks Jared for providing this forum and resources such as the recent link. And I said to him, “Sir, you are the one who knows.” Then he said to me, “These are the ones who died in the great tribulation. They have washed their robes in the blood of the Lamb and made them white. I am free! My sins have been forgiven. I am justified by my faith in Christ alone. I am clothed by His blood. Thank you Jesus. Andrea, the gospel that Paul preached is the same gospel of what Jesus preached. the gospel is all about the Kingdom of God and i have already explained this to you that the Kingdom of God is connected to the tithing law. i bet you didn’t read what i posted here and still you’re discussing things not connected to the topic. so why does Paul have to advise the gentiles to be converted to jews instead of joining the church? WHY?! Andrea, anyone who is born of the Spirit of God, will say AMEN to every scripture you have ably and adequately provided to prove John wrong. It is just difficult to know the kind of spirit and power at work in John’s life. The way he twists scriptures and fails to understand even the simplest explanation make one wonder what salvation really means to him. Even the language of insults and the joy he derives from deliberate misquoting of the scriptures points to the fact that he is not willing to listen to any thing that points to Christ as God and Lord over the Lord. Little does John know that one day he will appear before Christ, the law-giver (James 4:12). Preferring the law over Christ nullifies the sacrificial death of Christ for mankind. The law was pointing to Christ, John 1:45 records, Philip findeth Nathanael, and saith unto him, We have found Him, of whom Moses in the law and the prophets, did write, Jesus of Nazareth, the Son of Joseph. You can also read John 1:14, 17. Jesus is above Moses and the law> he is the only one who has brought grace and truth. Grace and truth will never come any other way outside Christ Jesus regardless of whatever men believe. There is salvation in His name (Acts 4:12). John needs prayers that he may experience the true love and experience the joy of the freedom that Christ alone brings to a lost soul. I understand what you’re saying, Leonard, about unseen influences to a person’s beliefs – and the need for prayer. Thanks for this reminder. May we keep praying that people’s eyes may be opened to the truth, including those who don’t know the Lord at all. Thanks for contributing and for scripture references and explanations. God bless. You are welcome, Andrea and I thank God for people of your kind , who are able to read the word of God and to defend the truth. I would like you to read my book: THE TITHING DILEMMA AND THE TRIUMPHS OF LOVE and then give me your views of it. There are a lot things that clearly dismiss the practice of tithing in the grace era. The discussion of the change of priesthood from those who received the tithe to the priesthood of Christ, who was both the priest and the the sacrifice. Indeed, we need to pray that the truth may be known so that Christians will know the ultimate freedom that only faith in Christ will offer. Please, keep praying and working for the Lord. The revelation of Paul in (Acts 15 and Gal 2:14) brings us to the conclusion that the church was not built for the gentiles alone. The church serves to bind the two different kinds of races into a one class of people through his blood. It is founded on top of the prophet’s doctrines which mean the church must adhere to the commandments of God as the main objective of their mission. it means the gentiles are to be connected and trained to Jewish custom as it was explained by Paul in Roman 11.
do you still believe that the church was built for them? Now some of you remained persistent and maintained that the church should no longer be subjected to the Ten Commandments. Unless you disregarded those proofs found in the bible, there’s no way this church will do away with it. History proves that the earliest church had been observing the Sabbath days or the laws of Moses as it was testified by the edict of Constantine the great. The edict stated that the church must not be influenced by Judaism and the passing of this law caused to have Sunday as the day of worship for all followers instead of Saturday. The event that happened gave way to this Roman type of Christianity under the direction of Roman Emperor Constantine. So if you are a Sunday-observant then you must remember that it was Constantine the great who passed this bill into law in remembrance of the sun-god. the truth came out from Constantine’s lips that the church was a sabbath keeper. The tithing law as I’d previously mentioned that served to honor God’s kingdom was established first in heaven long before the physical world came to exist. so it’s impossible to abolish it when its foundation is in heaven. the tithing system that was imposed in Israel is just a replica of the real tithe in heaven. so who are these people will teach other people that the tithe is abolished? …..so don’t let your ministers read your bible. investigate all these verses that I have shared with you. connect them all and you will find the truth of Jesus’ gospel. don’t let your ministers steal your salvation. I like this website, but I’m afraid I have to unsubscribe from this thread. It’s just too much. Some people just don’t know when to be quiet, at least for while. Thanks for your understanding. Leonard, I’ve found your book on the internet so will do that and get back to you in coming months via this site. The front cover is relevant and eye-catching. It’s great you have written a book on this topic – I’m sure it has already informed many and will continue to do so, setting them free with the truth! I look forward to reading it. The topic was centered to the payment of dues on a particular issue and it involved money as a token of support to the government of Caesar. The image issue came out on the scene to give them some impression of who owned this coin. So it’s just a supplement to the discussion. Now Leo, here is the test, What IF the tax that they had been paying was in the form of material goods such as grains? Would your half-truth image idea survive? Like a bucket thing, this too is also a failure. It’s plain and simple that Jesus just wanted to remind the Jews not to ignore God’s tithe in the event of paying taxes and his logical respond to them shows that even they were under foreign occupation; the tithing law is bound to continue. No other solution but this. see the common phrase he commands us to do that the tithe will not be neglected. This is the absolute reason for having God added to the picture. We don’t need to interpret his action away from the truth that won’t match exactly to the story. We need the truth to come out. Again, my position about the tithing law still stands! During the Roman Occupation, some might have thought of neglecting the tithe because the kingdom of Israel was no longer existed. yes, they may have a logic there, but Jesus rebuked them at once and hurriedly mentioned God to their topic and this is what happened to the Mathew 22:21. It’s amazing that your information does not have any bible verse of support. You’re just merely presuming that it was dead. And also, you’re exposing tithe as a kind of irrelevant law without even bothered to look it up in the bible. Always remember that the tithing law belongs to God and the way you mocked his law, you’re mocking God as well. I wish God will not hold you liable for your action. it’s wonderful to read yet no one seemed to understand what is it. The collected tithes were for the feeding program in case you missed this. It’s for the fatherless (orphans), widows or any unfortunate human beings living in Israel. So it’s wrong to describe this tithing law of the Lord as dumb and useless. You should be aware that your action is not very far from what Malachi3 said. without proving the whole detail, you’d been judged by this book. It described you and your action. All of you are ignorant on how the Lord will carry out his judgment for sinners. So which book was it? Of course, the bible and that includes Malachi’s account. This book would be the basis for all of your actions you have made while on this earth. Do you think you can reason out to the Lord that the tithing law was done away despite what Paul had instructed the people to obey in Hebrew 7:8? Tithing law or the law about Priesthood? it’s really strange to hear this, but i suggest to these people to review again the whole chapter of Hebrew 7 if whether there’s a point that this tithing law was abolished or not. yes, no tribe qualifies to assume this responsibility except the Levite tribe alone. only God has the authority to change this method of priest appointment . so how did Jesus qualify to the priesthood? The basis of having an eternal life, and because Jesus lives forever that present status made him a perfect priest forever not in the line of Levi but in the line of Melchizedek according to Psalms 110:4.
how clear that this change of priesthood has nothing to do with the tithing law. it is about a change of ancestry from Levi’s priesthood to Melchizedek priesthood that goes well with the tithing law management according to Hebrew 7:8. No other explanation but this! again, Is it about a tithing law ? I wanted to get back to you a while ago. I apologise it’s taken me so long to get around to purchasing your book. I ordered it through Fishpond several weeks ago and it arrived from England today (I live in Australia). I’ve just read the introduction and like the candid way you write – easy to read and flows. Will get back to you again (hopefully within weeks this time) after I’ve finished it. Then will be lending it to people I know who tithe! God bless. Try this. In Hebrews 7:12 It says: For when there is a change in the priesthood, there MUST be a change of the law. What law? Now take pen and paper, and mark down how many times tithing is directly, or indirectly mentioned starting from Verse 1. How many? Then read verse 12 again. 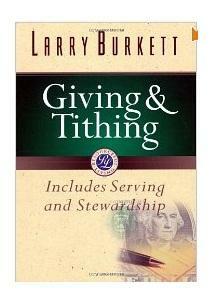 Well does tithing mention in v12? Read it urself n be the judge. It’s the law that concerns priesthood. However, I suggest u to read Hebrews 7:8 as highly recommended for u n for the rest of u. Did Paul say the law of tithe was abrogated in his time? No! He actually wrote it not just in his time but also covered the future time. because Jesus lives forever. How could Jesus collect his tithe if his life won’t last up to our time? Try to concentrate to what Paul says. 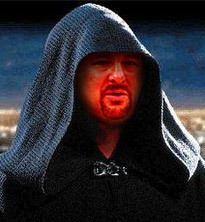 My highest commendation for your website on Tithing and for your exposes on Rick Warren. I have written two books and produced two video documentary investigations exposing Warren’s false teachings. THANK YOU!!! !